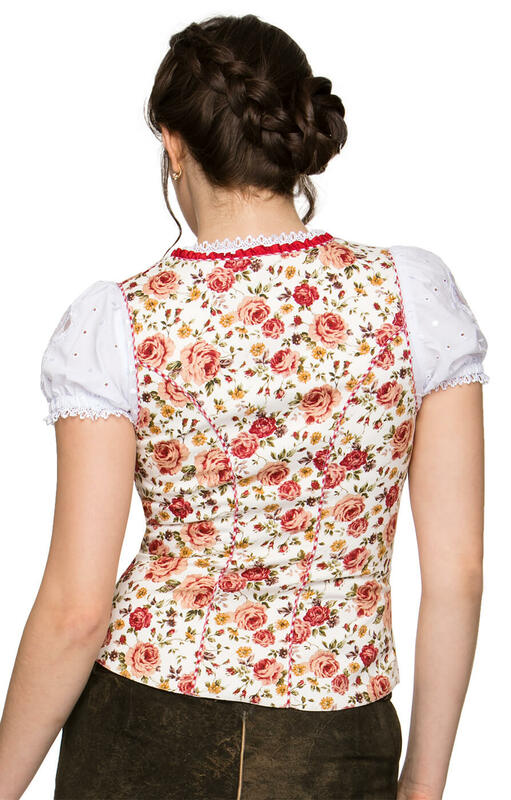 Traditional Dirndl Camilla corset. 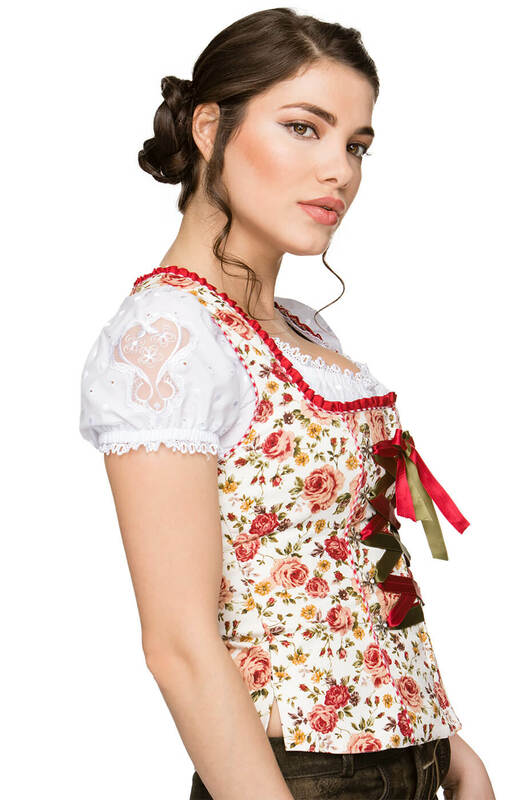 This stunning corset has been created in the traditional Trachten style and is the perfect garment to wear with a traditional German skirt when heading to Oktoberfest. 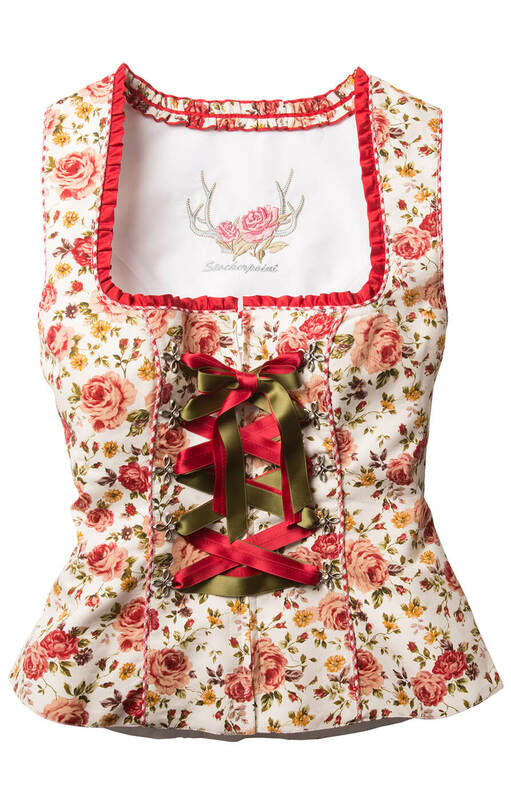 The corset is made from 90% cotton with the addition of 5% polyester and 5% elastane for a comfortable fit and the bold rose design is enhanced with red and green ribbon ties.